A survey of more than 5000 physician mothers found that about 1 in every 6 have caregiving responsibilities beyond their patients. The findings evidence what investigators call an “inordinate burden of caregiving” in physician mothers—who are often called upon to treat for in-need loved ones—and is also shown to result in worsened rates of burnout symptoms. 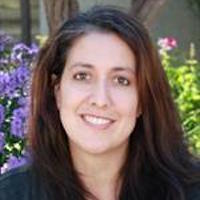 The study, led by Veronica Yank, MD, of the Division of General Internal Medicine, Department of Medicine at University of California San Francisco (UCSF), used data collected from a 2016 survey sent the Physicians Moms Group, a Facebook-based community of 16,059 members who identify as physician mothers. Yank and corresponding author Christina Mangurian, MD, MAS, of the Department of Psychiatry, Weill Institute for Neurosciences at UCSF, share personal perspectives to the intent of the study. Yank, who works as a primary care physician outside of her research work, told MD Magazine® she had a newborn treated in intensive care for a period shortly after birth. While not taking away from the difficulties of men who also work as both physicians and fathers, Yank emphasized that it is often women who are called upon to become dual-, or even triple-care providers. Mangurian—a psychiatrist whose son was hospitalized long-term as an infant—seconded this, though even their study’s findings managed to surprise her. The team sought to understand rates of additional caregiving responsibilities among the US physician mother population, as well as their susceptibility to alcohol use disorder, nonmedical prescription drug use, and mood/anxiety disorders. Multivariate logistic regression models were used to determine adjusted relative risks (aRRs), and significant findings were set at P values < .05. Investigators received 5613 (35%) responses from US-based physician mothers on their caregiving responsibilities. Of them, 918 (16.4%) reported having additional responsibilities. The primary responsibilities of these physician mothers included caring for ill parents (443; 48.3%), children or infants (155; 16.9%), partners (71; 7.7%), and for other relatives (263; 28.6%). Total, 153 (16.7%) reported giving additional care to more than 1 person. Compared with other surveyed physician mothers, those who had additional caregiving responsibilities had significantly greater rates and aRRs of mood/anxiety disorders (aRR 1.21; 95% CI: 1.04-1.42; P= .02) as well as burnout (aRR 1.25; 95% CI: 1.06-1.46; P= .007). However, rates of career satisfaction (9.5% vs 7.5%; P= .06), risky drinking frequency (16.6% vs 17.7%; P= .42), and substance abuse (2.8% vs 3.0%; P= .72) were similar among physician mothers with and without additional caregiving duties, respectively. Mangurian recalled having conversations with fellow physician mothers about how frequently women transition straight from raising their children to taking care of their worsening parents. Though it wasn’t the intent of this study, she expressed interest in learning how the stigma surrounding a physician mother’s role as an overall caregiver affects issues such as anxiety and burnout. As for solutions, Mangurian expressed hope action starts at places of healthcare provider employment. She said an improved understanding of the importance of time flexibility for physicians—of either gender or parental status—could go a long way in improving burnout rates in the field. There should also be more efforts to learn from physician mothers firsthand: what, from their experiences, could be improved to ensure the healthcare system is providing supports to burdened care providers? Where research points to a common problem in the field, Yank and Mangurian see rare potential for improvement. The study, "Behavioral Health and Burnout Among Physician Mothers Who Care for a Person With a Serious Health Problem, Long-term Illness, or Disability," was published online in JAMA Internal Medicine.